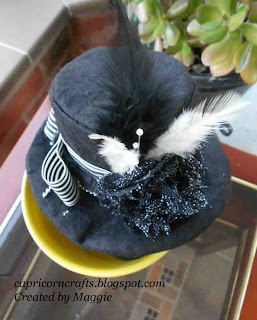 Just thought I would pop in and say Hi and show you a hat I have altered. The hat I bought from a well known cheap shop and took off the emelishments it had on, then rumaged in my crafty stash and decorated as you see. The hat is for a fancy dress party in early June. 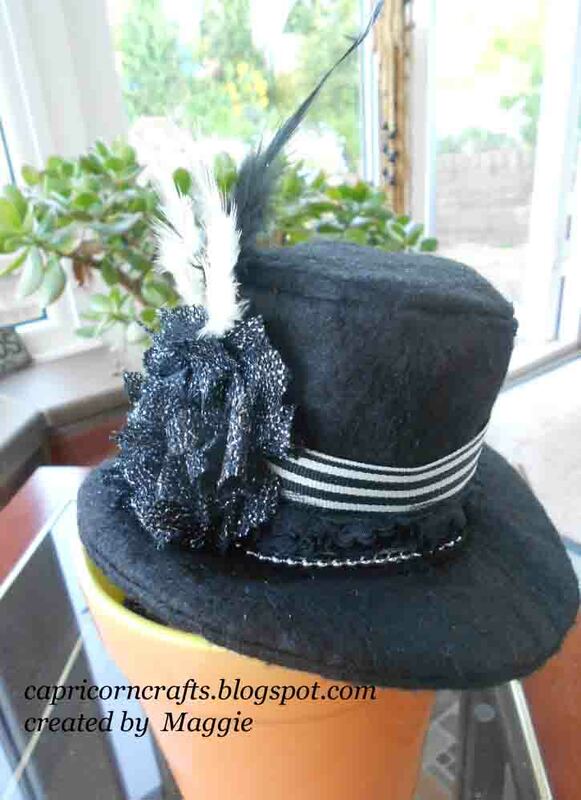 The theme for our group is Magic and this is my Top Hat, we are off on holiday today touring in our Motorhome in Wales and we attend a National Rally for a group we belong to in Camarthan over the Jubilee weekend when Saturday night is Party Night and I will be wearing the hat. This is the first Hat I have altered and I had great fun!!! Hello Maggie, I just found your blog. I love your altered hat. How much fun is that!!! I've strolled through your delightful blog and just think your paper crafting is fantastic.